Churchville Golf Course | Rochester Golf | Golf Deal | Go Golf U.S.
Churchville Golf Course joined our discount service in 2017. They are a part of the county courses along with Genessee Valley GC and Durand Eastman GC. This deal is unique as it has NO RESTRICTIONS. This allows our users to play at Churchville GC for $25 including 18 holes AND cart ANYTIME! You should call for a tee time and let the shop staff know you are with Go Golf U.S. and to make sure the course is not booked up. Save yourself $6 if you plan on teeing it up here and cover the some of the cost of the Rochester eBook for the year! Churchville GC is hidden gem located on the western side of Monroe County. 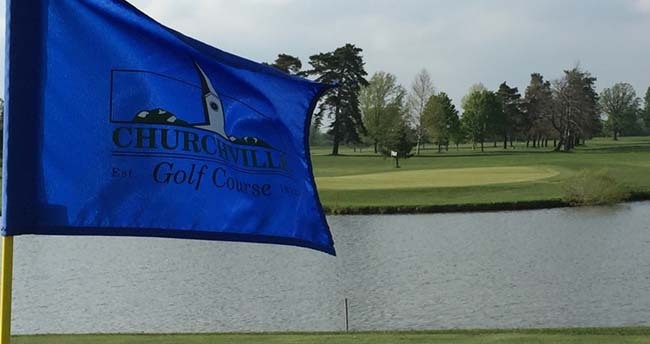 Churchville consists of one (1) 18-hole course and one (1) 9-hole course. Churchville GC also has a fully stocked pro shop, snack bar and driving range facility. Churchville GC also hosts a PGA Junior League. Matches are held on Saturday or Sunday afternoons, usually around 4 pm beginning in mid-May and ending by July 1. The cost to register is $175 and includes Junior Range Membership ($50 value). The schedule will include 6 matches supervised by our PGA Professionals plus all-stars have the chance to move on to regional and even national competition. THIS IS LITTLE LEAGUE FOR GOLF! Check out the site above for more info!